Expert and proper installation is important to ensure proper function. Please request the corresponding instructions. 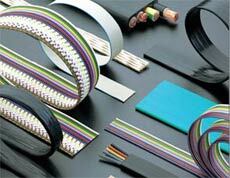 Flat cables according to UL-standards are available on request. Ribbon cables are ideal for use because of the excellent flexibility as connecting cable in electronics and in control engineering.